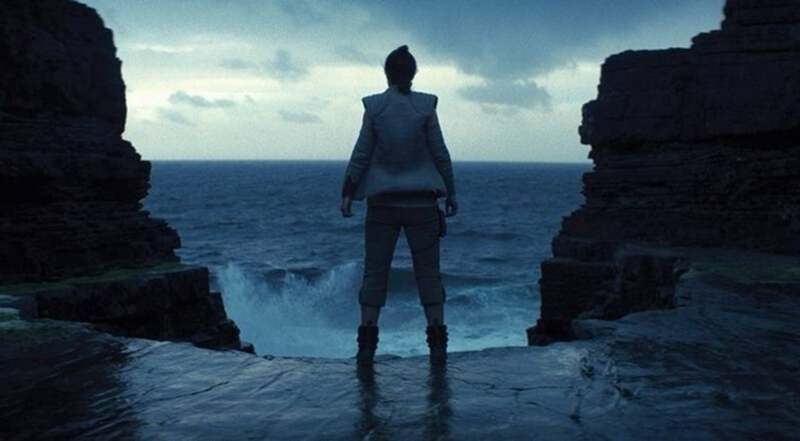 ‘The Last Jedi’ is not the first divisive piece of media Rian Johnson has directed. Breaking Bad’s ‘The Fly’ was a bottle episode released in the midst of the third season, bringing a halt to the show’s main plot. Instead, Rian utilizes symbolism and unconventional directing techniques to reflect on Walter White’s state of mind. This heavy use of meta storytelling and symbolism evokes our own theories on how Rian approached The Last Jedi. Splinter of the Mind’s eye is fairly straightforward and offers little in the face of building the Star Wars mythos. This is to be expected, as the novel was written as a low-budget sequel to the 1977 film. Certain creative choices were designed to work around the potential production of a sequel film; Han Solo and Chewbacca are absent, as Harrison Ford wasn’t signed on for a sequel. The environment of Mimban was also layered with thick fog, as to lower budget on set design. The book represents more of an ‘alternate history’ for the franchise, rather than a story worthy of merit in the present years. The muggy swamp of Mimban likely inspired the setting of Dagobah; in fact, Luke’s arrival to Mimban in the book evokes the same arrival to Dagobah in ESB. In both mediums, Luke’s X-Wing begins a descent into thick fog before crashing into a muddy swamp. Mimban dates back to early drafts for A New Hope. Lucas stated in subsequent interviews that he always had the idea of Luke Skywalker training on a swamp planet. Mimban also appears in early Rogue One concept art, and was finally seen on-screen in Solo: A Star Wars Story. Mimban has a long and fruitful history in the Star Wars creative process. Creatures known as yuzzems appear in the book; large, bipedal, humanoid creatures that appear in a prison cell alongside Leia and Luke. These creatures were reworked by George Lucas to be ‘yuzzums’, a species that makes an appearance in Return of the Jedi. The species was originally going to appear alongside the Ewoks, but the budget cost would be too high, so only one yuzzum makes an appearance in Jabba’s palace. Leia Organa stood out to me as out-of-character almost immediately. In one scene, she shrugs off the abuse of Mimbanites at the hands of Imperials, using the excuse of seeing her home planet being destroyed as a reason for her nonchalance. Foster clearly took Leia’s sarcasm in A New Hope to its logical extreme within this book, as she constantly offers clever quips in the face of authority. In prime 70s fashion, the book doesn’t treat its female characters with much nuance or respect. It’s easily the biggest distraction when attempting to read through the book. In a tavern, Luke slaps Leia (also out-of-character for Luke) as a means to play the part of two miners, and lies to an Imperial officer that Leia is his ‘slave’. Leia retaliates outside the tavern by wrestling Luke in mud. She comes out of the mud completely soaked, with some of her button tops pulled off. The book certainly sexualizes Leia much more than A New Hope ever did. We were able to narrow the book down to taking place two years after A New Hope. Luke Skywalker shows exquisite aptitude in his understanding of the Force, as well as in wielding a lightsaber. Foster most likely envisioned Luke to be a more developed and more centered character after his wondrous and innocent attitude seen in the 1977 film. But it does raise a question as to why Lucas allowed such use of the lightsaber in the face of a low budget. Lucas looked over the final draft, and only suggested removing a dogfight that took place over Mimban at the beginning of the book. So it’s head-scratching as to why such heavy use of the lightsaber was allowed in the book. At one point, Luke twirls his lightsaber around in a similar fashion to the prequel trilogy. It’s certainly an interesting “what-if” to consider: what would Lucas’s movie version of Splinter of the Mind’s Eye have looked like? The Kaiburr crystal is the MacGuffin of the book, channeling the Force and amplifying it for Force users. Analysts were quick to point out comparisons between A New Hope and Lord of the Rings: the Death Star scenes bears similarities to the Fellowships’ trek through the Mines of Moria. The Kaiburr crystal can be seen as a further comparison between the two stories, regarding the One Ring. Two sides are both fighting for an item that amplifies power (albeit, the One Ring bends users to its will, so its more by proxy). Foster centered the book around the Kaiburr crystal as means to give closure to Star Wars. While it’s not entirely fulfilling, it does act as a finality when all things are considered. Another interesting tidbit is how Foster writes “droid”; he adds an apostrophe before the droid, as in ‘droid. Obviously, he figured the word was short for android, and acted as slang. Alongside constant use of real-world professions like ‘seismologist’ and ‘mankind’, the book evokes more of a dystopian sci-fi tone than a space opera tone. Splinter of the Mind’s Eye doesn’t offer much in the way of in-universe analysis, as the book is wildly unlike the Star Wars we now know and love. But it still offers tidbits that can reflect on the next two films (The Empire Strikes Back and Return of the Jedi), and makes you appreciate what Lucas decided to do with Luke and Leia’s characters in the continuing story.